den November 17, 2016, 11:10 a.m.
Globalisation has gotten a bad press in the West recently, with the failure of governments to prevent citizens from being left behind seen as the root of much recent political turmoil – not least the election of Donald Trump. 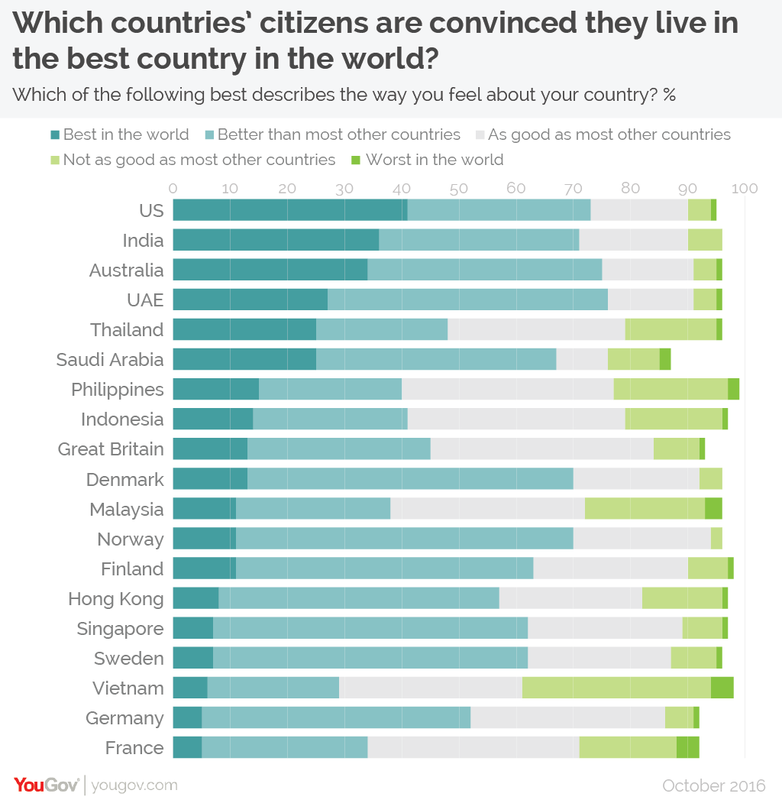 Nonetheless, a new YouGov survey of more than 20,000 people across 19 countries finds that in almost all of them people are more likely to think that globalisation has been a force for good rather than ill – and by wide margins. Unsurprisingly, the countries that are the biggest enthusiasts of globalisation are the ones that have benefitted most from it – the poorer nations of East and South East Asia. Here, belief that globalisation is a force for good reaches at least 70% in all countries, and as high as 91% in Vietnam. 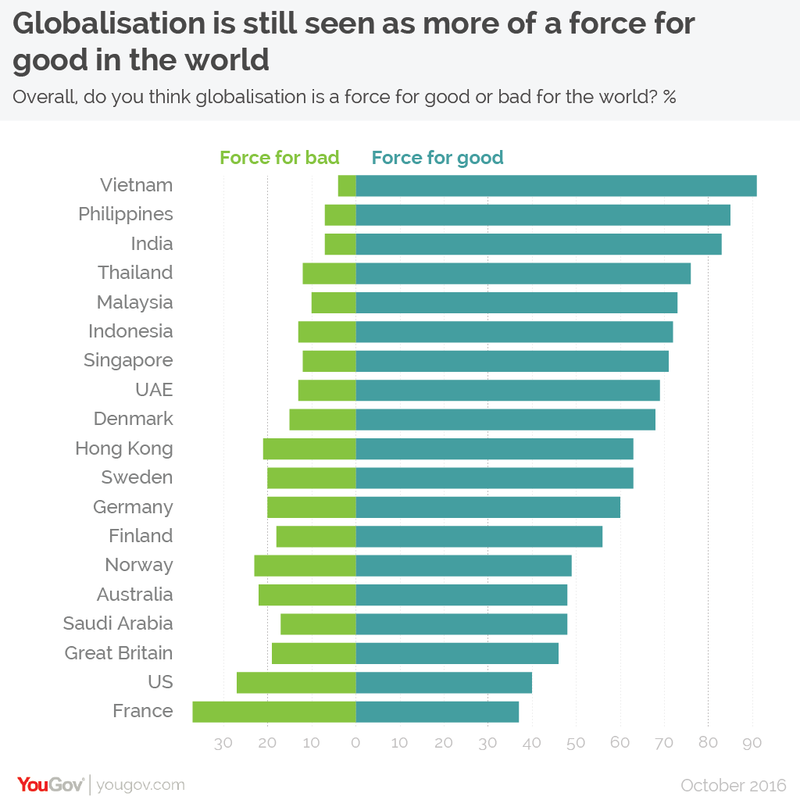 Support is still strong in Europe though (with the exception of France – more of which later), with around half or more of people in the countries surveyed saying that globalisation has been a force for good.